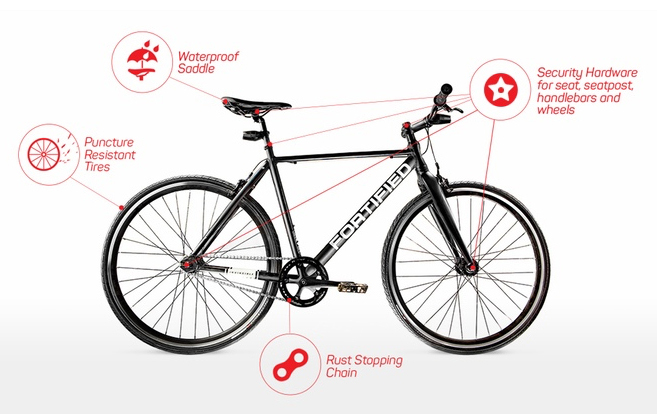 A city bicycle that’s protected from damage and theft. It has an aluminum frame, rustproof chain and puncture-resistant tires. It also has a U-lock and uses pentalobe screws. 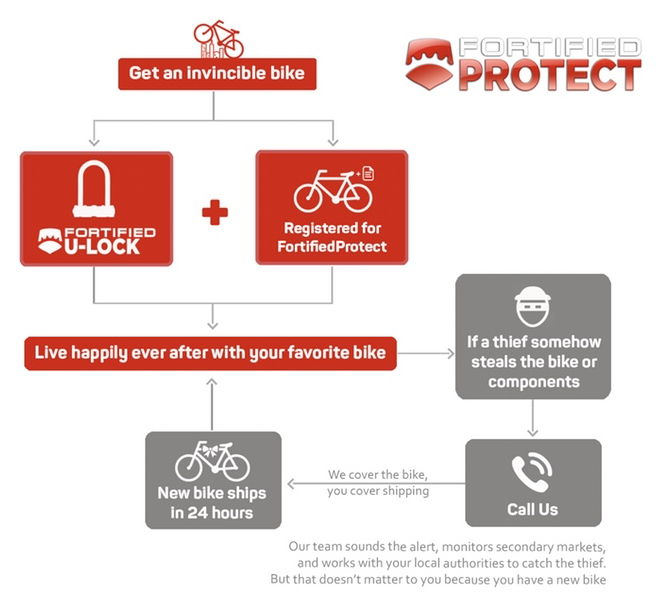 Fortified’s optional insurance will replace your bicycle if it gets stolen, no questions asked.